THIS POST WAS SPONSORED BY SPECIALTY RETAILERS, INC. But all opinions are my own! 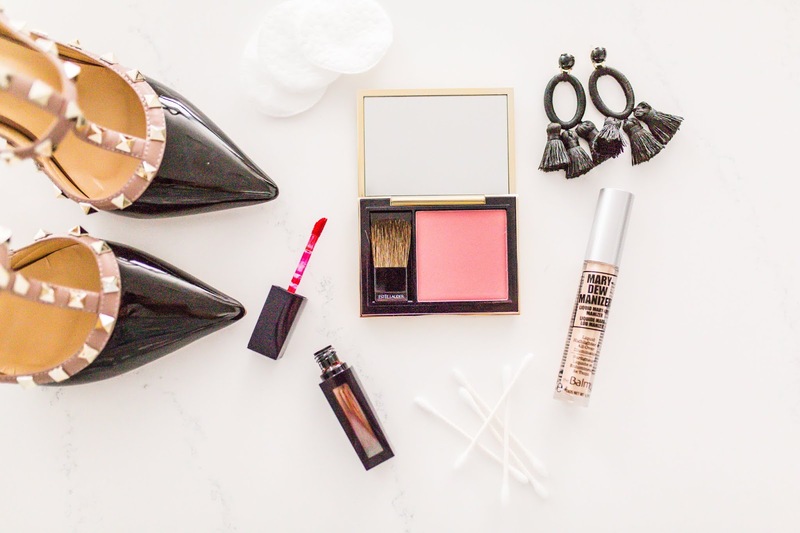 How much fun is it to refresh your makeup routine with every season?? 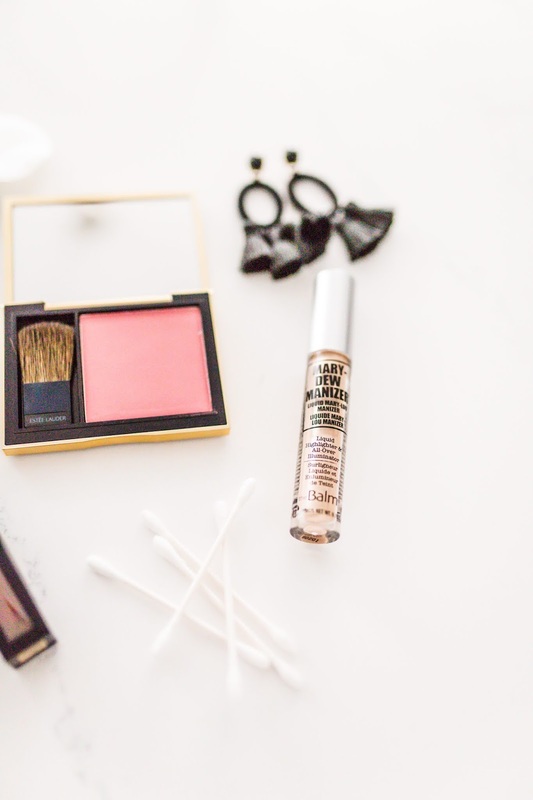 I love mixing up my routine and buying a few new products to incorporate into my makeup bag every season. It's fun to shake things up every once in awhile! I picked up a an Estee Lauder Pure Color Envy Sculpting Blush in the shade: "Pink Kiss", theBalm Mary Dew Liquid Highlighter, and an Estee Lauder Pure Color Envy Vinyl Lip Color in the shade: "Controversial". I picked all of these up from Stage.com! It is the perfect destination for all your beauty and skincare needs. 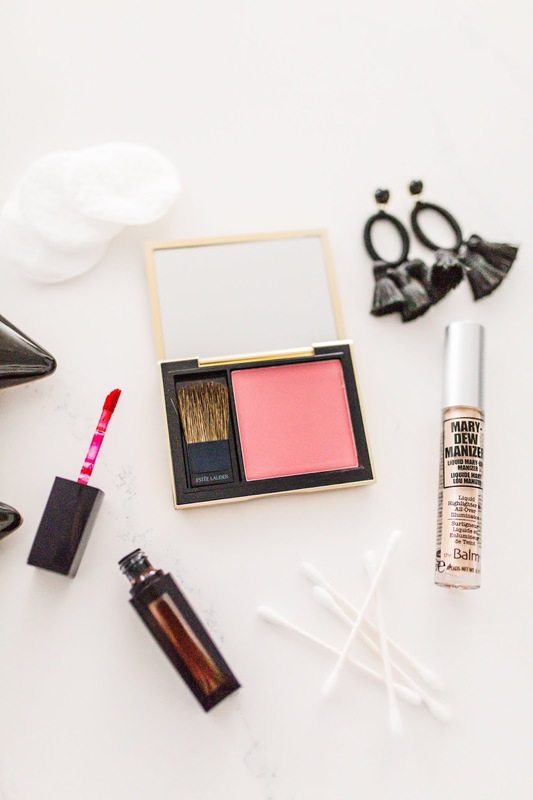 Since I got a few new goodies I thought I would share my day-to-night beauty routine. 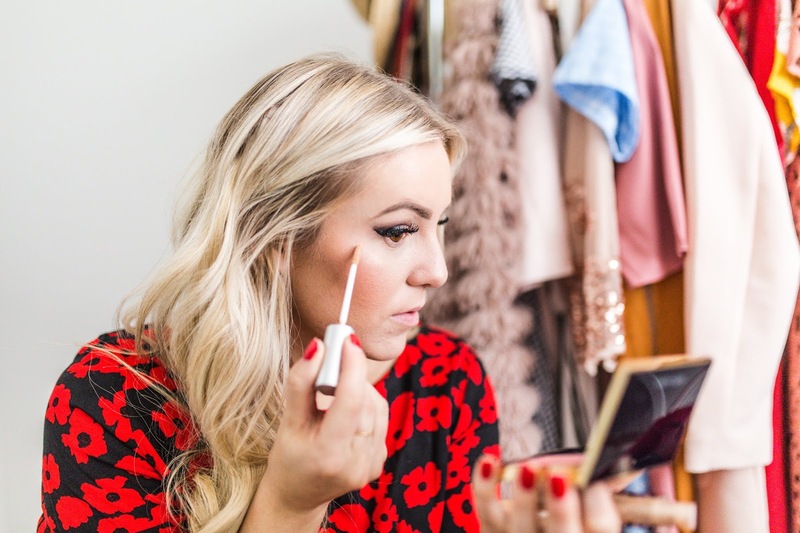 I love adding a few "finishing touches" to bring my look to the next level on date night. I usually start my freshening up my blush. I have really oily skin, so I like to give my cheeks a quick touch up and bring a little more color to my face after a long day at work. 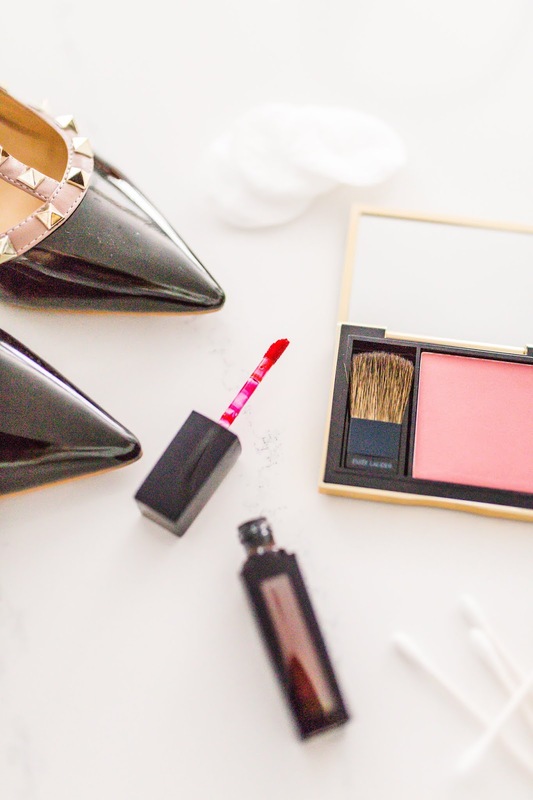 I tend to lean more towards pink or mauve shades when it comes to blush. 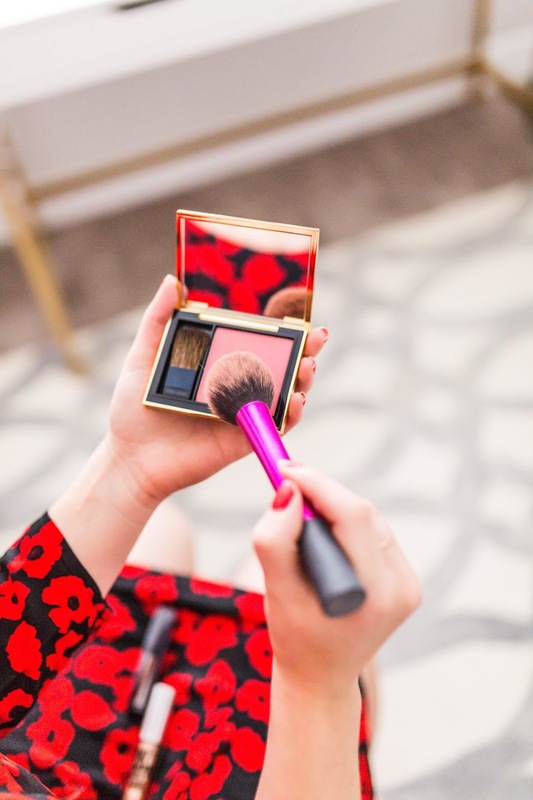 This Estee Lauder "Pink Kiss" Pure Color Envy Sculpting Blush is truly the perfect shade of pink! It isn't too bright, but makes you look perfectly blushed. You all know how much I LOVE a good highlighter! Lately I have been leaning more towards liquid highlight. 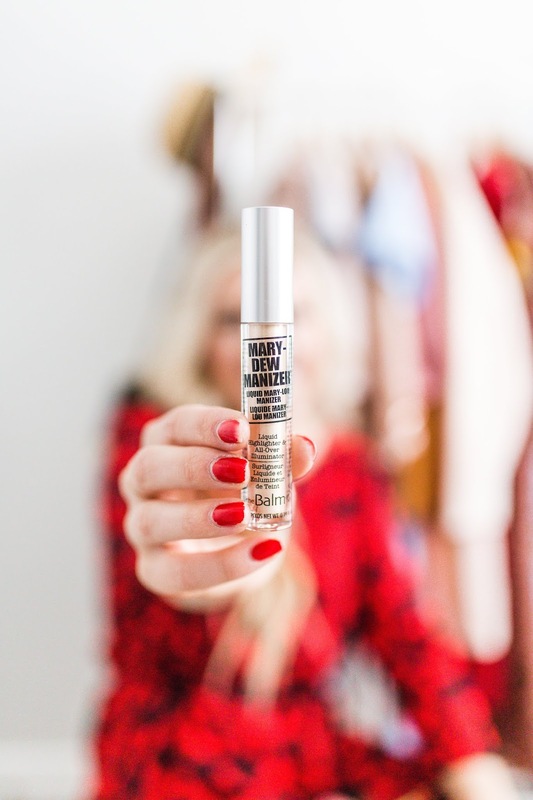 This "Mary Dew Liquid Highlighter" by theBalm is exceptional! It is so reflective and adds the perfect highlight. I like to apply it to the "high points" on my face. I usually apply it to the tops of my cheek bones, down the center of my nose, and over my cupids bow. When elevating your day look to night, adding a little bit of highlight elevates your look for a perfect night on the town! I love dressing up a little bit, and "dressing up" my makeup look as well! There is no same in being a little fancy for date night. 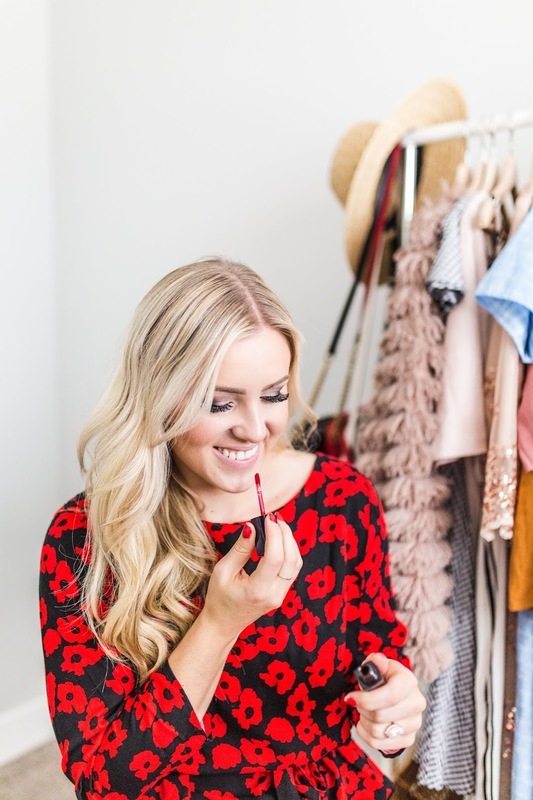 Lastly, I love topping off my look with a bold lip color! During the fall I LOVE a good red lip. I don't like matte lips, or liquid lips because my lips feel like I am in the middle of the Sahara Desert without water. So I usually grab for gloss or a satin lipstick. This Estee Lauder Vinyl Lip Color Envy in the shade "Controversial"really makes a statement! Which I love! 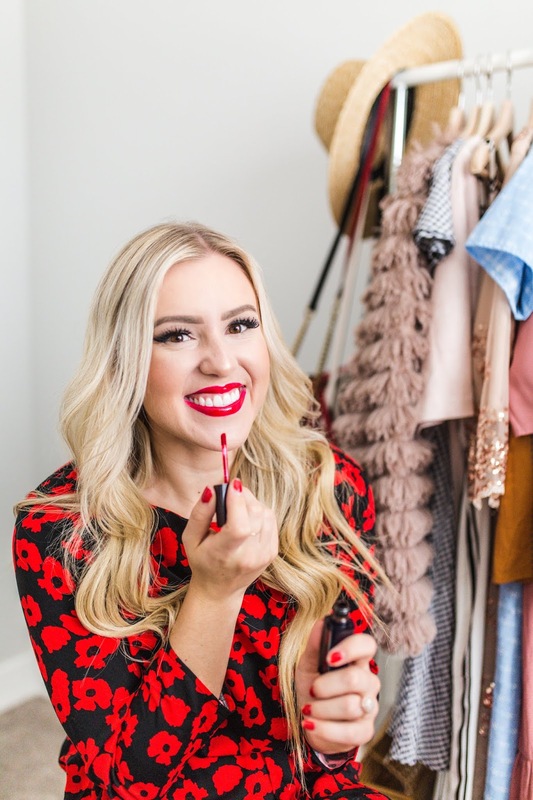 Give me a good bold lip (especially if it is red), and I am good to go! I love that it is a mix between a lipstick and a gloss. It has the perfect shine to it and wears SO well! Even when it starts to fade it stains your lips so the color lasts all day! It feels so comfortable on my lips and it makes me want to leave all the red lips on my husband's cheek. I love that Stage is a one-stop-shop! 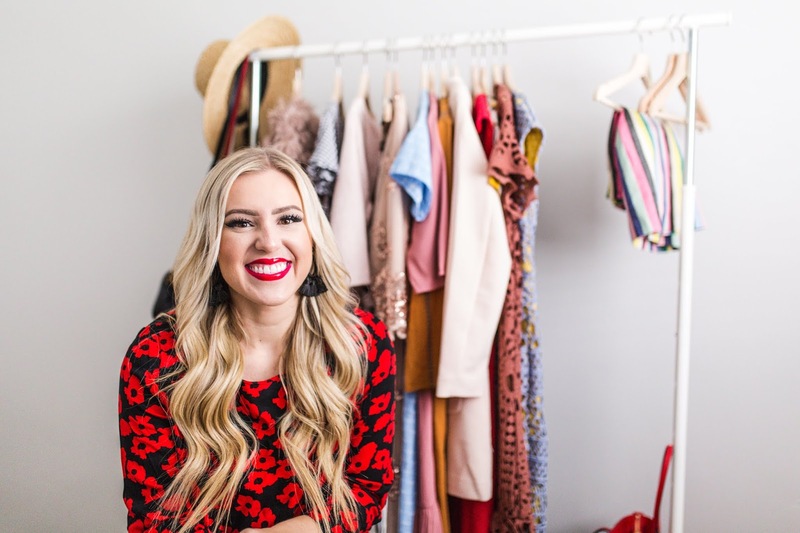 I can get all my beauty favorites and even a few new ones! I am excited to share that Stage is turning October into Pink October! They are having their "Beauty Bash" from October 10-23 where you can find 14 days of Party Favors including offers on brands like: Philosophy, Clinique, Elizabeth Arden and more! So make sure you check back daily between those dates so you can snag yourself some new makeup goodies! Click HERE to find out more about Beauty Bash! Dafne Keen Celebrity Profile - Check out the latest Dafne Keen photo gallery, biography, pics, pictures, interviews, news, forums and blogs at Celebrity Ping! Nayak-Raj Razzak Celebrity Profile - Check out the latest Nayak-Raj Razzak photo gallery, biography, pics, pictures, interviews, news, forums and blogs at Legend of Bangladesh!